"I'd make you a cup of tea my dear, only I've got a bit of a chill." 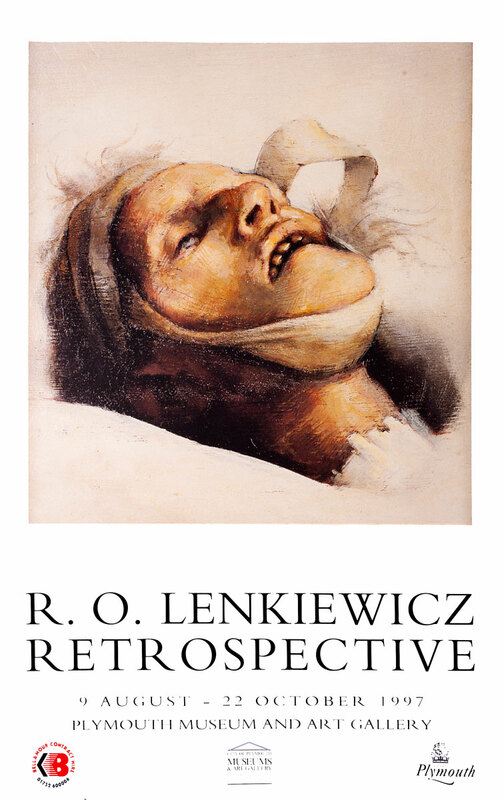 Lenkiewicz painted a number of centenarians at this time; one of them was 113 years old. THE DEPOSITION - The Burial of Education The Painter and the dead Painter. Self-Portrait with ‘Punch’ Magazine. Self-Portrait Aged 15. Robbie. St John’s wort with trees. Self-Portrait as St Antony Listening. The Painter with Anna. St Antony Theme. Esther: Rear View. Dora Russell – small study. The Painter with his sons Wolfe and... Study of Kevin Gasson. M.E. Caddy. Headteacher; Eggbuckland... Syd sniffing glue. Andy Lynch with Oak Leaves. Miriam with paper mask. Study of the Painter’s Dead Mother. Still-Life: three chairs. Mary Flayed, Marsyas. The line of thought manufactures fear. Study on the train from London after... Florence Kate Harvey – 103 years old. Lelya on the Cross with Pesellino’s... The Burial of John Kynance. St John’s wort with trees.